(left) Wool and silk dress, Geoffrey Beene, Spring/Summer 1992.The Metropolitan Museum of Art, Gift of Geoffrey Beene, 2001. 2001.393.108 (right) Dress, Common Raven, designed by Rachel Cohen. Spring/Summer 2012. 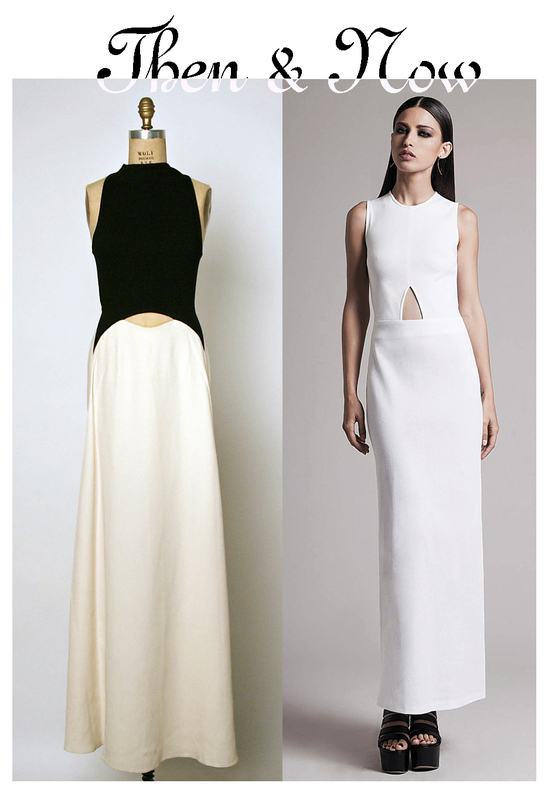 This entry was posted in Then&Now and tagged Common Raven, cut-out dress, Geoffrey Beene, Rachel Cohen. Bookmark the permalink. Spot on side by side comparison.